JERSEY CITY, N.J., February 20, 2018	(Newswire.com) - Royal Biologics, an ortho-biologics company specializing in the research and advancement of regenerative cellular therapy, has announced the launch of their Demineralized Bone Matrix line of allografts, called MAXX™-Fuse. Maxx™-Fuse will be positioned to service the global orthobiologics market, which is expected to reach USD 6.06 billion by 2022 from USD 4.44 billion in 2016 at a CAGR of 5.4 percent during the forecast period of 2017-2022. 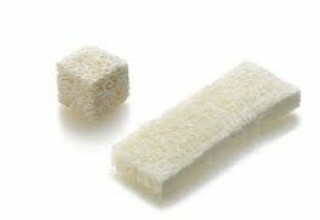 Demineralized bone matrix (DBM) is allograft bone that has had the inorganic mineral removed, leaving behind the organic "collagen" matrix. It was first discovered by Marshall Urist in 1965 that the removal of the bone mineral exposes more biologically active bone morphogenetic proteins.These growth factors modulate the differentiation of progenitor cells into osteoprogenitor cells, which are responsible for bone and cartilage formation. As a result of the demineralization process, DBM is more biologically active than undemineralized bone grafts; conversely, the mechanical properties are significantly diminished. MAXX™-Fuse is made from 100 percent demineralized human bone, providing osteoinductive and osteoconductive potential, providing an ideal scaffold that supports new bone formation. 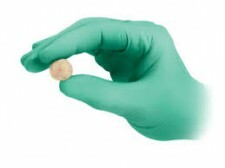 MAXX™-Fuse will be available in multiple forms: DBM putty and DBM putty crunch (addition of cortical cancellous bone chips). MAXX™-Fuse will also be available in sponge cubes and strips in various sizes, shapes and lengths. DBM products are used in many orthopedic surgeries today such as spinal fusion and trauma-related surgeries. 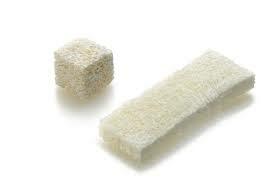 The global spinal fusion bone graft substitutes market is growing substantially due to advancements in minimally invasive spine surgeries and quicker recovery times. The increased demand for minimally invasive surgeries coupled with a growing geriatric population, which is correlated in the rising rates of conditions such as Degenerative Disc Disease (DDD), Kyphosis and Scoliosis, has forecasted high-pace growth over the next 10 years for the orthobiologics market. 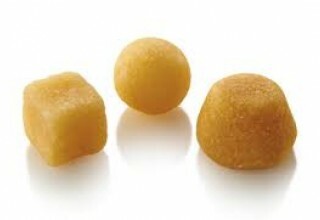 "Demineralized bone matrix has superior biological properties than normal allograft bone," says Salvatore Leo, Chief Executive Officer of Royal Biologics. "Osetoinductivity increases dramatically as minerals are removed from the graft. Maxx™-Fuse is a great addition to Royal Biologics' portfolio as we can offer surgeons an alternative to local graft harvesting, decreasing donor site morbidity, surgery and recovery time." To learn more about MAXX™-Fuse and its benefits as well as more about the range of regenerative medical products offered by Royal Biologics, visit RoyalBiologics.com. Royal Biologics is a life science company specializing in the advancement of regenerative medicine using proprietary technologies targeting point-of-care and autologous extracellular matrix product therapies. To learn more, visit RoyalBiologics.com.